NB: All new development will occur in the version 3 code base. See the YAMon web site for the latest installer or the YAMon 3 discussion thread in the DD-WRT forum. If you want to get YAMon but are intimidated by the notion of `flashing` your router yourself (i.e., replacing the stock firmware with DD-WRT), checkout the `Can I get a router with DD-WRT pre-installed?` help topic at the YAMon web site. EDIT - prior to launching the 2.2 version, I recommend that you clear the contents of /tmp/www/ and/or reboot your router to ensure that any old symlinks are removed. 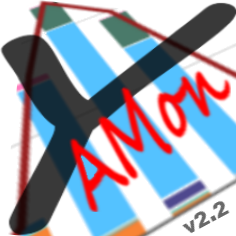 Yet Another Monitor (YAMon) records and reports on the traffic (downloads and uploads) for all of the devices connecting to your router. The data is aggregated by hour, day and month (within your ISP billing interval) and can be rolled-up into arbitrary groups (e.g., by family member or by any other logical grouping of devices). In short, YAMon gives you an unprecedented view of the traffic on your router. - The `Daily Usage` and `Hourly Usage` reports allow you to see which devices used how much bandwidth when (did your kids really really go to school and did they really shut off their devices at bedtime?). - The `Monthly Usage` report shows who is consuming the most bandwidth on which device and projects your total usage for your ISP billing interval (allowing you to throttle consumption before you get hit with a large overage fee). - The `Live Usage` reports allow you to see which addresses each device is connecting to and includes geo-location lookups (you can find out or at least ask why your kid's device is connecting to a server in Lithunia or elsewhere). - Usage history allows you to view and compare results across billing intervals. 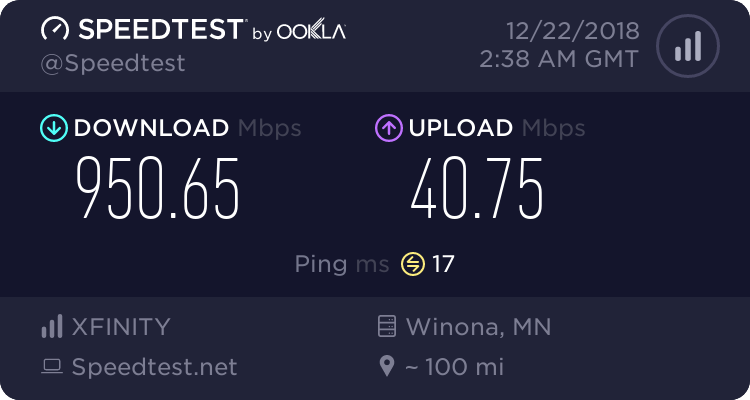 Further, you can optionally include upload/download figures from your ISP to compare totals recorded at your router with theirs. Other options in the configuration file allow you to define an `unlimited` usage interval (e.g., some ISPs do not count usage between 2AM and 7AM towards your bandwidth cap). YAMon runs on routers that have been flashed with one of the *WRT firmware variants (e.g. DD-WRT, OpenWRT and also AsusWRT). You must now stop yamon2.sh prior to editting users.js! killmasta93 created an installation tutorial. See http://www.dd-wrt.com/phpBB2/viewtopic.php?p=954980#954980 for the forum thread or for https://www.mediafire.com/?b488czq0xg242cg for the actual tutorial. For new users, you can also use the readme.txt in the zip file and the attached installation guide (`Configuring YAMon 2`). - if you plan to use the new `_organizeData`, you must first run `organize.sh` (included in the zip file) to move your existing data files into the appropriate structure. NEW - I have added a new _loglevel of `-1` that will include even more debugging info. If you're having difficulties, post a question to this thread (or PM me through this forum or at al@caughey.ca). As always, your feedback (and encouragement) is greatly appreciated! Prior to the 2.0.12 update on Jul 30 2014, YAMon had been downloaded 1085 times. Prior to the 2.0.13 update on Aug 13 2014, YAMon had been downloaded 1292 times. Prior to the 2.0.15 update on Oct 17 2014, YAMon had been downloaded 1835 times. Prior to the 2.0.16 update on Oct 17 2014, YAMon had been downloaded 2014 times. Prior to the 2.0.17 update on Nov 20 2014, YAMon had been downloaded 2252 times. Prior to the 2.0.18 update on Mar 20 2015, YAMon had been downloaded 3588 times. Prior to the 2.1.0 update on May 31 2015, YAMon had been downloaded 4272 times. As of May 31, 2016, YAMon 2 has been downloaded 9408 times! andyrav - Thanks for the feedback; sorry for the error message. That should make those messages go away. What router & what firmware build are you using? Did the report files get copied to the `/tmp/www` directory (in spite of the error message)? Looks like some pretty hefty issues going on with mine. grep is unhappy with it, as well as cp. The second problem is another example of inconsistencies between firmware versions... it appears that your grep version does not support the -w (whole word match)... this is going to be a little more problematic... That option was included to prevent partial matching of IP addresses -e.g., without this option, it could be that 192.168.1.1 would also match 192.168.1.13 or 192.168.1.119, etc. NB - you will have to stop and restart the script for these changes to take effect. Have you stopped the script, made the changes as suggested above and then restarted the script? yamon2.html isnt getting copied to tmp/www directory..i see the yamon.html..ive tryed stopping/starting a few times..it never gets copied?? yes i'm running both versions.. Done... see the attachments on the first message of this thread. I've also included a PDF to hopefully help people get over the hump. try 2.0.1 to see if you were getting the copy error. Otherwise make sure logging is turned on (and set to 0). Then send me the log. there is no values in the Daily Usage > Downloads column. and i copied the data from the old Yamon and ran the convert.sh. but it is now showing any old data. i copied the data from the old Yamon and ran the convert.sh. Nothing in Monthly breakdown and live update is not show anything. The error you were seeing was occuring in my debugtrace function which is meant to show where errors are occuring rather than cause them... the irony of that is well... frustrating. Oddly, my version of Firefox did not die but Chrome and Safari did. I've disabled that function and things seem to be working now... except, I just noticed that Safari doesn't like something about the pie charts... I'll fix that later in the day. YAMon 2.0.1.zip doesn't have Setup folder. Should we mkdir Setup and move strings and www into it, along all sh script files?